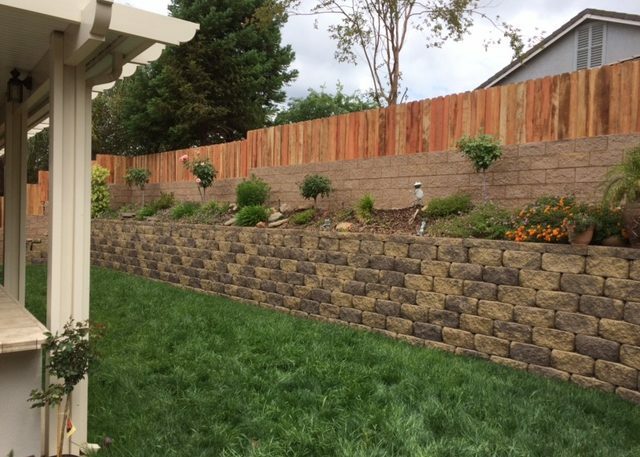 Cal-Sierra Fence has been providing retaining walls for both landscape and structural uses in the Sacramento Valley for 15 years. 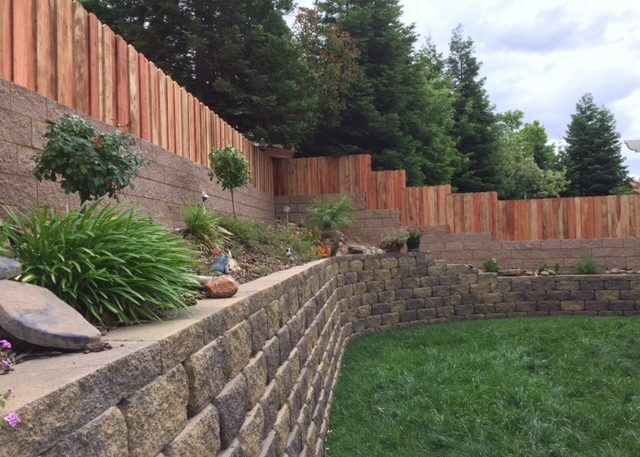 Whether you want a retaining wall as a key hardscape element within the overall landscape design of your front yard or back yard, or as a key structural support , we can provide the design and construction of the retaining wall that meets your needs. We can build your commercial or residential retaining wall using wood plank, keystone block, cinder block or rock. We can use textured block or color block, and large timbers as well. 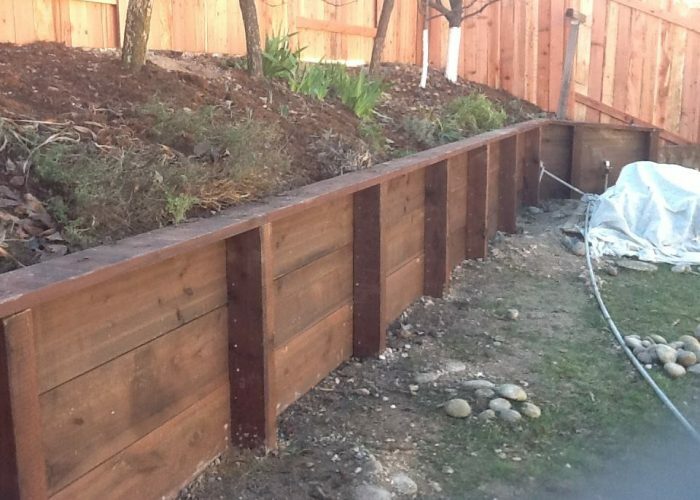 We also offer decorative landscape retaining walls out of railroad ties and bridge ties. Finally we build retaining walls that have fences on top, and use steel posts that can be hidden from view. We can build retaining walls on slopes of all gradients, and in all soil types. We can work with your architect and engineer, and we also have relationships with several architects and engineers to assist with your project if needed. We also can install retaining walls with steel posts, keystone walls and block walls. 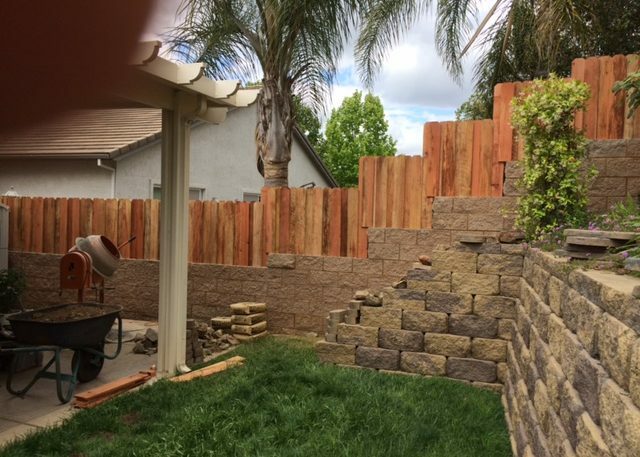 So when you are ready to add a retaining wall for either landscape or structural requirements, even on high gradient slopes, call us at (916) 315-9405 or email us at sales@calsierrafence.com. We will meet with you at your convenience to provide a complimentary site assessment and proposal. 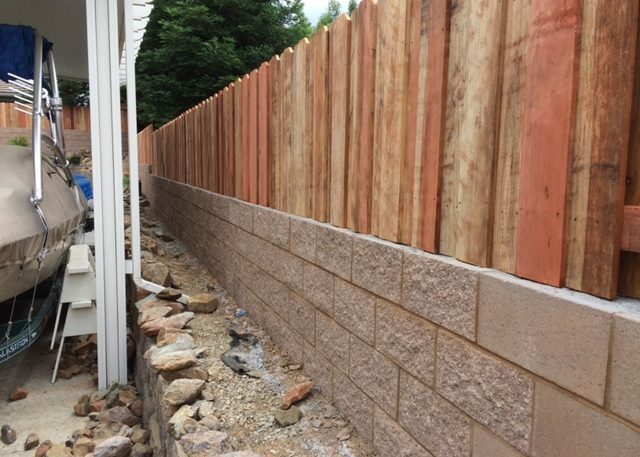 And we will build you a high quality, structural sound, long lasting retaining wall that is durable, functional, and will compliment your home and surroundings.